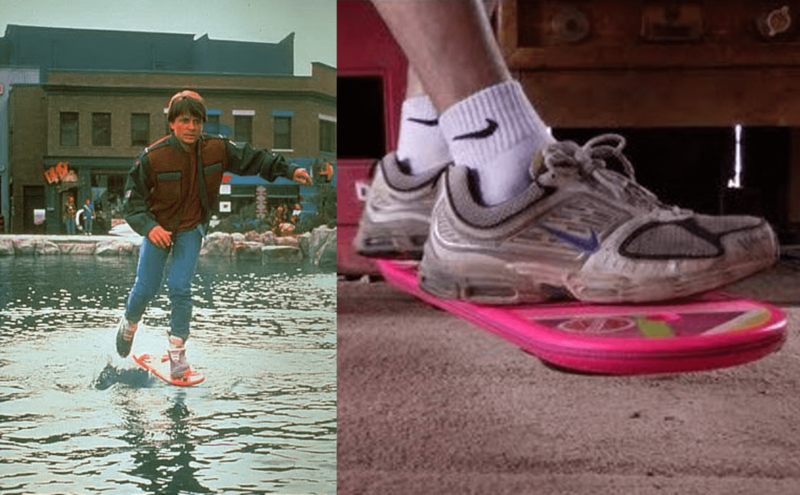 21 October 2015 is Back to the Future day. But I digress. In the second movie in the trilogy, Wednesday, 21 October 2015 was the day that Marty McFly arrived when he travelled to the future – at 4.29pm precisely. My older brother is actually the bigger fan of the series, and it was he who watched the movie multiple times while we were growing up – in fact, the first time I caught it was when he was watching it for yet another time. As kids, “the future” that was 2015 looked so out-of-this-world awesome and something we couldn’t conceive. We still don’t have these although it’s now common to travel via motorised skate scooter and motorised unicycles – do those count? There were also self-lacing sneeakers. Which we also still don’t really have in 2015. Ah but THIS we have come close to! Last week, Audi Singapore invited me to take what they promised was “A Drive Back in Time”. It sounded so cool, so Back to the Future, that I couldn’t resist. 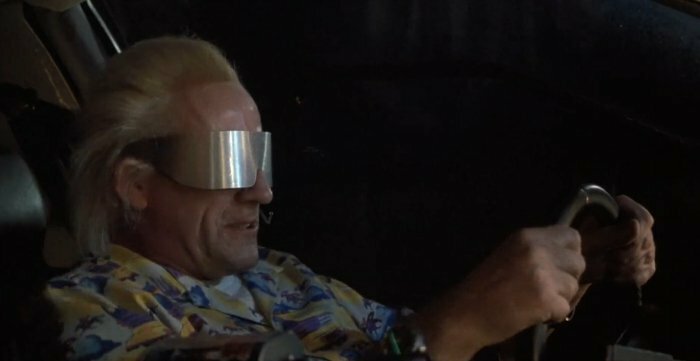 The promise was a veritable “SG50 Time Machine” – I would be given a device to wear (just like the Doc in Back to the Future!) 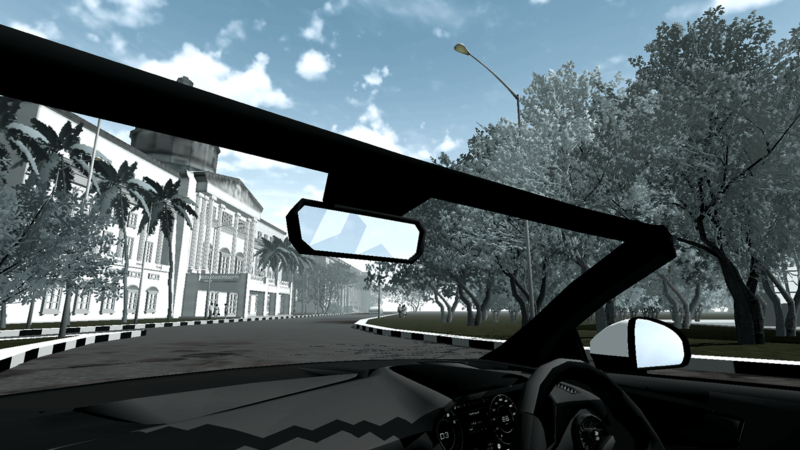 and then be driven around downtown Singapore where I would literally get “A Drive Back in Time” by “experiencing the sights and sounds of 1965 through the lens of virtual reality”. Would you have said no? 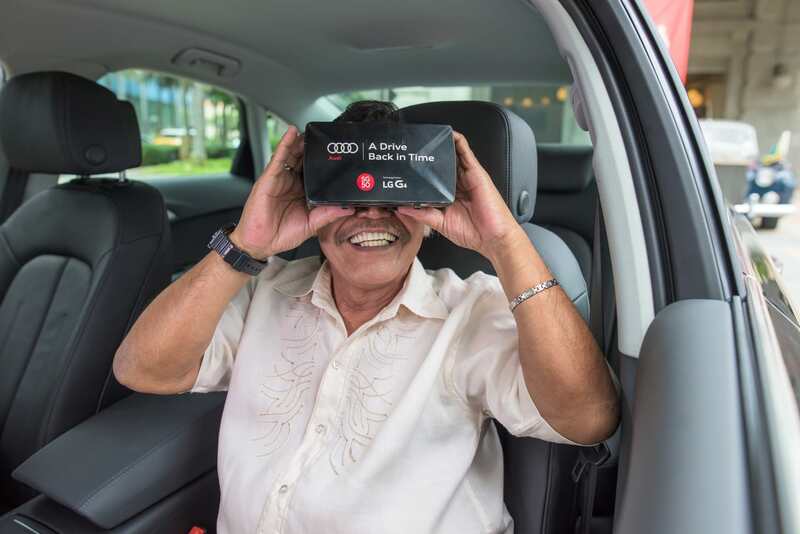 Geraldine and the good folks at Audi Singapore even said my gran could come with me – I thought that she would be a person who would really appreciate this as she’s always telling us stories about Singapore as it used to be. Before my grandpa passed away a few years ago, he used to say that “Singapore is no longer for us”; what he meant was that this nation has changed so much in the past few decades that he barely recognised it anymore. I wish both he and gran could have been on this drive, but I know he was there in spirit! We got settled into a lovely Audi A6 with Geraldine and our friendly driver, Joseph, and off we went on our “Back to the Future” ride – A Drive Back in Time! Here was us experiencing our first look out the window! 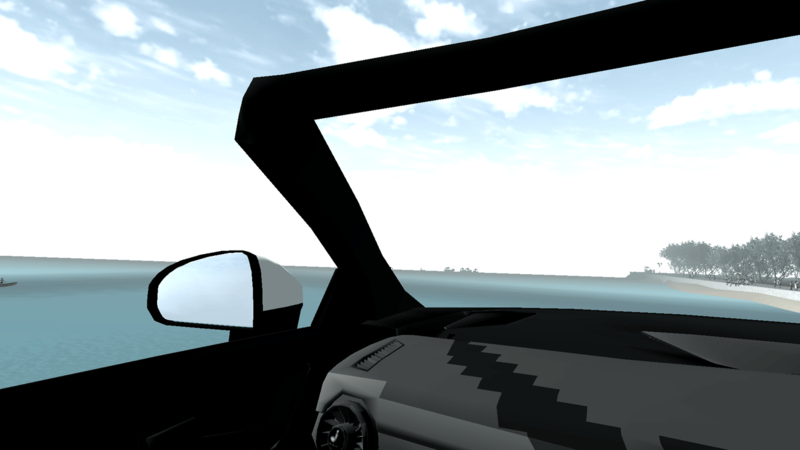 Our black Audi A6 became a TT convertible! 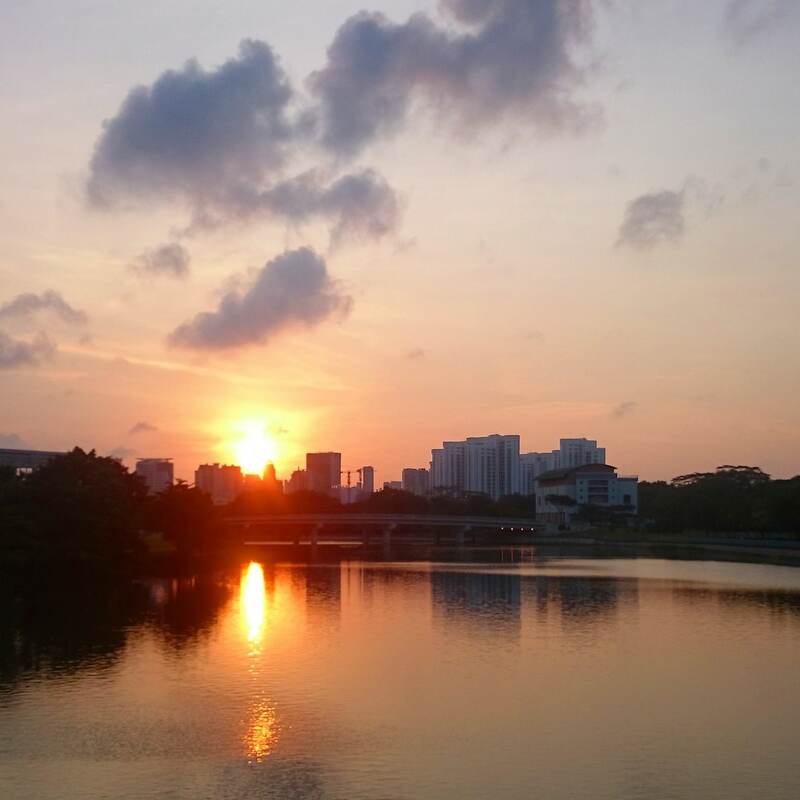 I saw Singapore as I had never seen it before. I think only Supreme Court and Fullerton Hotel (previously known simply as The Fullerton Singapore) look the same as they did 50 years ago…yay for preservation and restoration of heritage spaces! 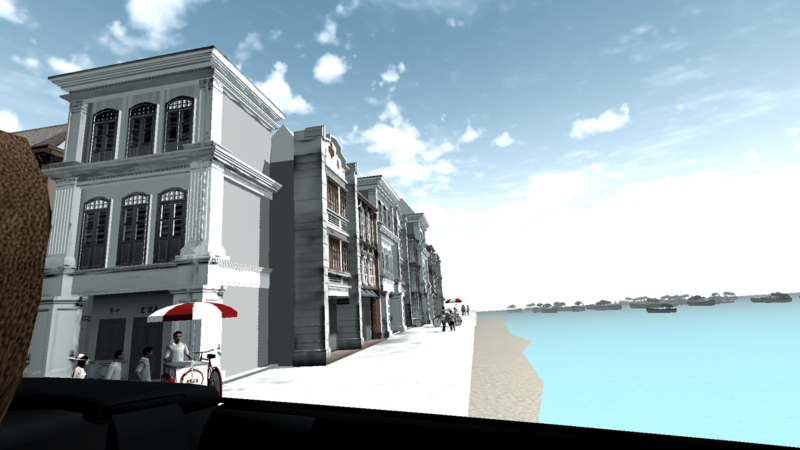 That’s Market Street on the left and Collyer Quay on the right! Now although I already know that much of Singapore is built on reclaimed land (I stay in the east and went to school at CHIJ Katong Primary, where the older teachers would always tell us about how the school was built on land that used to be the sea), I think I’ve only mostly thought about it in the context of the eastern part of Singapore hence. 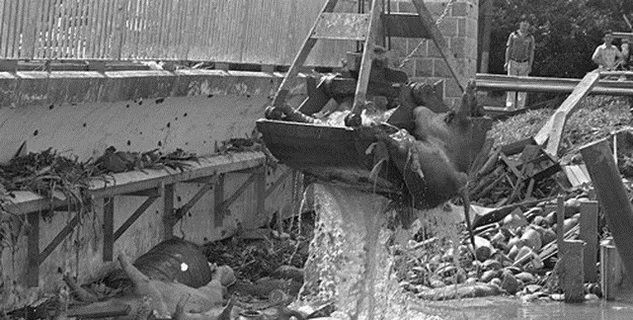 It was pretty cool then to learn about how Beach Road is so named – because it used to be sea! To know that Raffles Hotel was once a beachfront hotel, and that most of that area (including places such as Suntec City and Marina Square) were all once sea as well…pretty mind-blowing to think of how far we’ve come in just 50 years, and how awesome our city planning is! Gran was enthralled as I thought she might be! 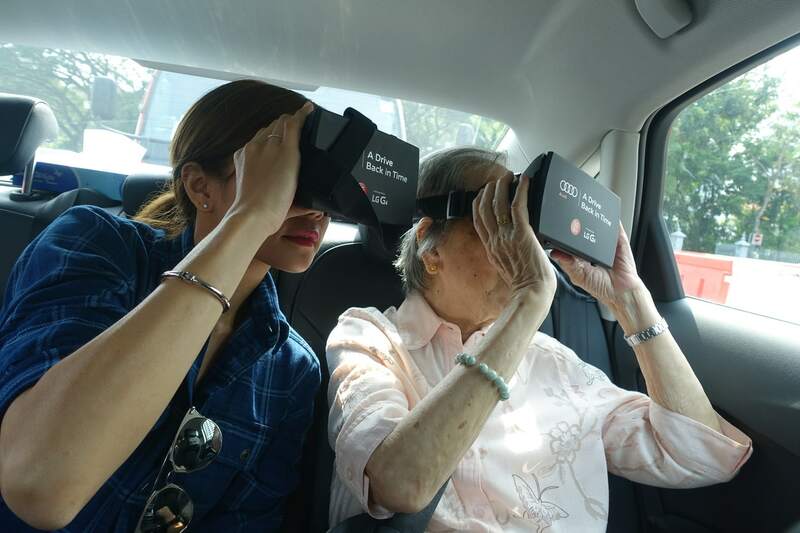 It was only after this whole experience that I truly understood what Grandpa meant – Singapore through the lens of virtual reality is almost unrecognisable to a young person like myself; hence to a person like my grandpa who saw Singapore as it was when he was in his prime 50 years ago, present-day Singapore is unrecognisable to him. It made me feel a little bitter-sweet kind of sad (as only a sentimental sop would!) but I soon got over that with great feelings of pride at how far we have come and how much we have progressed. What an SG50 gift to Singapore. Thanks Audi Singapore for this experience! 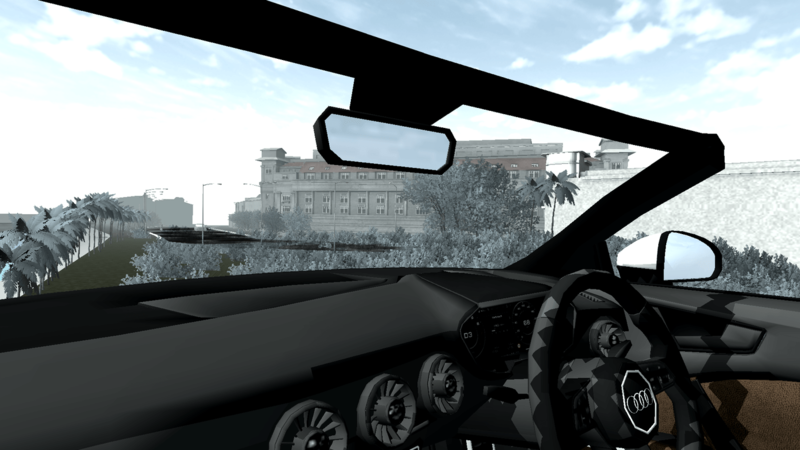 The ‘SG50 Time Machine’ uses the latest virtual reality technology to create an unparalleled 3D experience of Singapore in 1965 complete with interactive landscapes, buildings, roads and people. The ‘SG50 Time Machine’ will be officially launched at ‘A Drive Back in Time’, a special heritage event held at The Fullerton Hotel Singapore from 17 to 25 October 2015. 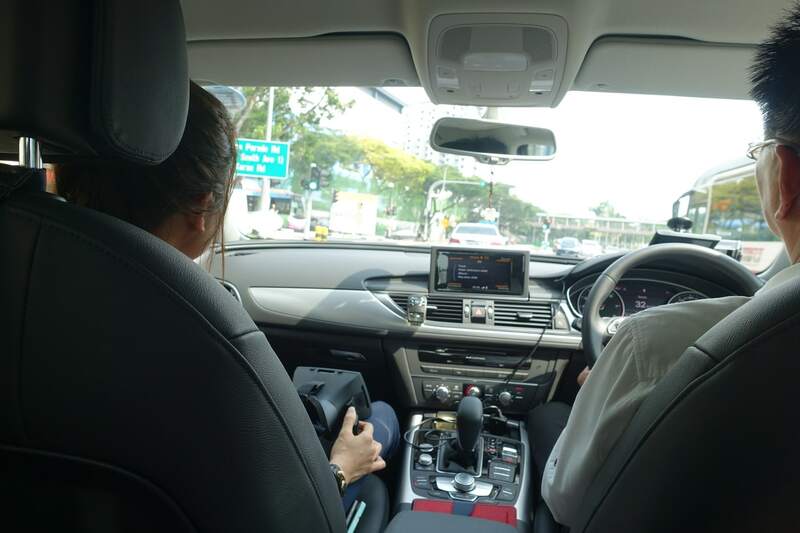 At the event, members of the public will be equipped with the specially-designed headset and the latest LG G4 smartphones, and chauffeured in style in the Audi A6 around the Civic District of Singapore to witness the nation’s transformation. 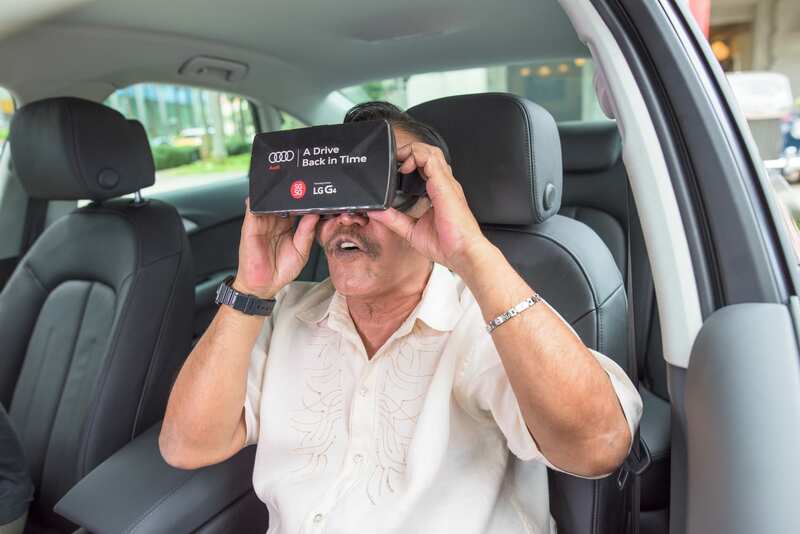 Audi Singapore’s ‘A Drive Back in Time’ will be open to the public from 17 October to 25 October 2015. Click here if you too would like to experience this historic journey.